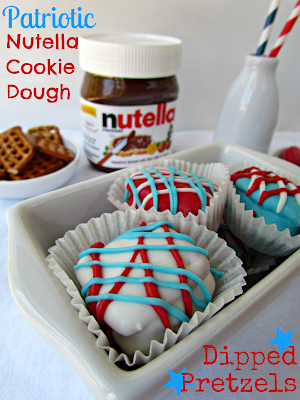 Looking for a fast,easy, and delicious way to celebrate the Fourth of July? 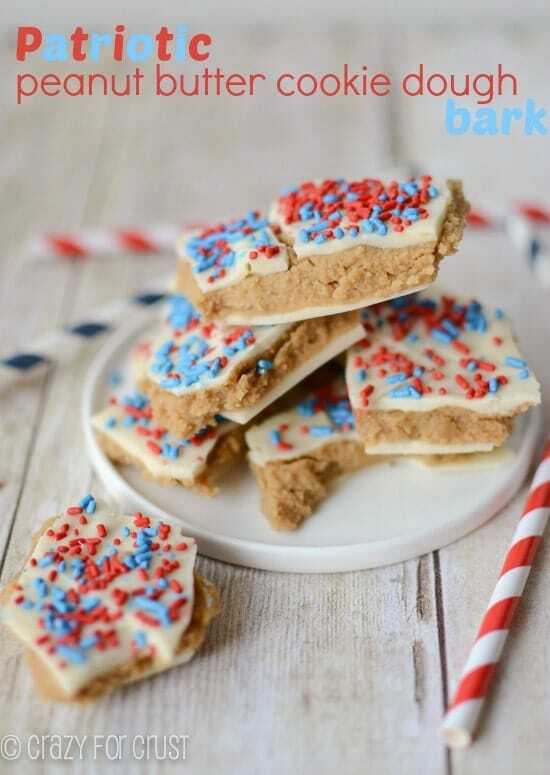 How about some Patriotic Peanut Butter Cookie Dough Bark? Way easier than rolling truffles, this peanut butter cookie dough bark will be a hit at your party! I’m back! We got home on Saturday from our week at Disneyland. If you follow me on Instagram, you’re probably tired of all my Disneyland talk – I think I had way too much fun sharing. I have decided that 8 years old is the perfect Disneyland age for a kid. We didn’t have to worry about a stroller, and her 8-year-old energy kept her going throughout the day. 1. Go early. This seems obvious, but really: the park didn’t fill up until after 11am. The first day we had gone on ALL the big rides before the lines got really long. It’s not a vacation for sleep – go early for the best lines and the coolest weather. 2. Bring lots of snacks. I packed way too many, but we saved a ton of money. Especially on water. Bring your own. Who wants to pay $3.50 per bottle per person? As if $280 per person to get in wasn’t enough. 3. Your kid will drink an astonishing amount of lemonade during the day. You’ll realize that they’re “super strong never go” bladder really is that way because when you’re home? They never drink. Expect 345 bathroom stops per day. 7. Don’t cut in line. OMG what a story. It deserves it’s own post. 8. Go to California Adventure before it opens and get in the line immediately for a Radiator Racers fastpass. Let your family go do something else while you wait. Your Fastpass return will be early in the day and you’ll only wait 15 (or less) minutes to ride. 9. Get enough days in the park so you’re not rushed. It’s summer: it’s hot and crowded. We did 5 days, went early and left by 4pm each day. We did one evening activity because we knew that staying up until 11pm would not work more than once. We did every ride by day 3, and everything else was just gravy. 11. Go see the fireworks. It truly is magical. Worth staying up until 11pm and waiting on a bench for 2 hours beforehand. Instead, I’d rather be at home. 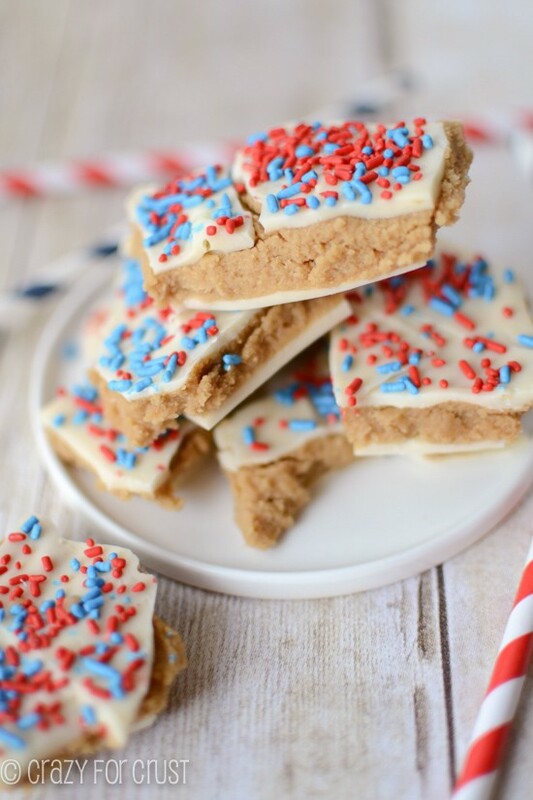 Eating things like Patriotic Peanut Butter Cookie Dough Bark! I realized the other day that the 4th of July is NEXT WEEK. Where did June go? This blog has been sorely lacking on all things Red, White, and Blue, so I needed to get on it. STAT. Enter: Peanut Butter Cookie Dough Bark. I’ve made sugar cookie bark before using eggless sugar cookie dough. 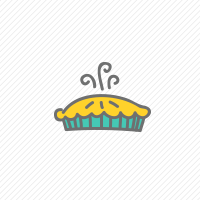 This is the same concept…only better because it’s peanut butter cookie dough. 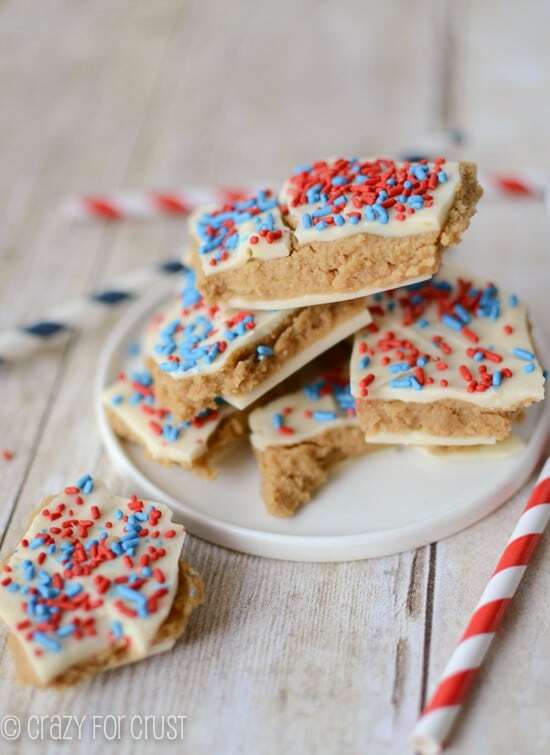 Peanut Butter Cookie Dough (eggless, no need to kill your guests) is sandwiched between layers of melted white chocolate candy and topped with patriotic colors. Really, is there anything else I need to say to describe it? Magical. Like Disneyland…in the Winter Summer. Eggless peanut butter cookie dough made into bark! Cream butter, peanut butter, and sugar until smooth using a stand or a hand mixer. Beat in vanilla, salt, flour, and milk. Melt the candy melts according to package directions. Line a cookie sheet with waxed paper and spread half of the melted candy into about an 11”x8” rectangle using an offset spatula. Chill for a few minutes, so that the candy has started to harden but is still semi-soft (less than 5 minutes). You want the candy hard enough that it won’t absorb the cookie dough mixture, but still soft enough that it will adhere to the cookie dough. Remove candy from refrigerator and spread the cookie dough evenly inside the rectangle, leaving small edges so that top candy layer will adhere to the bottom. Spread the remaning candy on top of the cookie dough using an offset spatula, making sure that it meets the bottom layer to seal the edges. Immediately sprinkle with jimmies or other candies/sprinkles. Chill until the hardened, about 20 minutes. Break into pieces and serve. Click here to see more PEANUT BUTTER recipes! 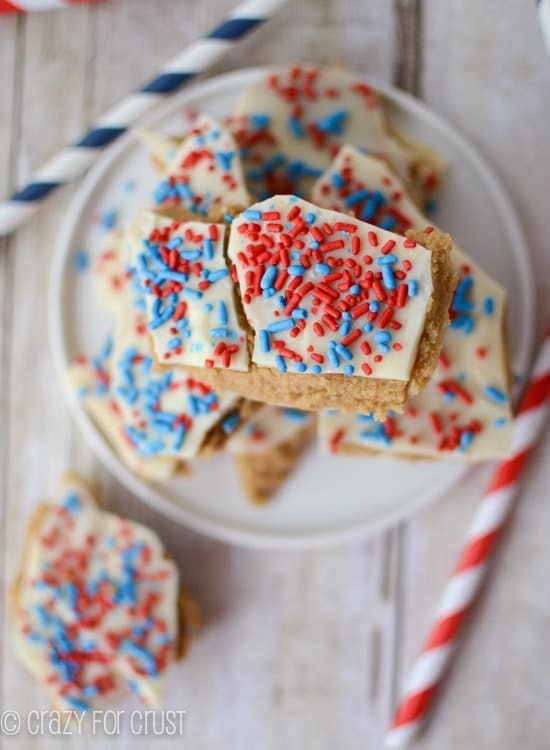 For other fun Fourth of July ideas check out these!